AGD are a UK based innovative company, specialising in traffic control devices supplied worldwide. Their products were ground-breaking within the industry, but the AGD brand was relatively unknown, so the majority of the technology was being sold into larger competitors, at lower margins. 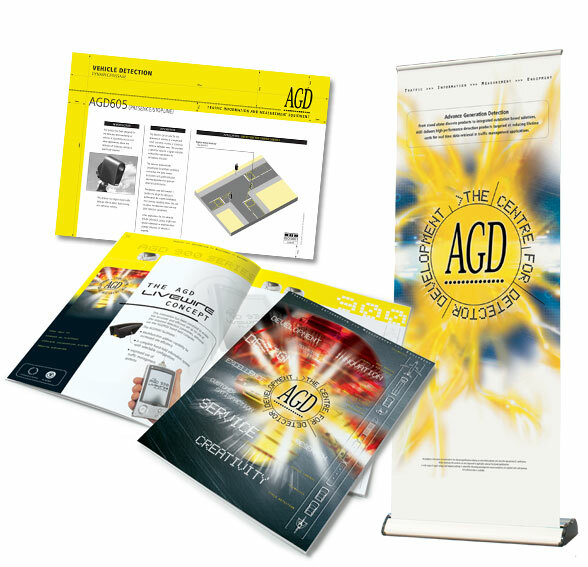 AGD needed to create a brand presence. The starting point had to be with the brand, defining what the brand needed to stand for and what space it would own in the market. We went through a programme of developing Insight to understand the current situation with the brand, competitors and market. Once this process had been completed, we then moved onto Strategy Development in line with the corporate objectives. Brand Positioning and Message Development were key areas that needed the right strategic approach in order to attract the desired higher margin orders. We determined that the most effective way of communicating the new brand with the audience was through a variety of communication channels, ranging from a sector specialist advertising campaign and website. Key buying relationships were also key to the success and AGD exhibited at the industry showcase, Traffex exhibition. We worked closely with AGD and the stand build company in order to deliver an outstanding exhibition space that created a real impact within the industry. All supporting collateral was also produced by Earl & Thompson Marketing, ranging from stationery, datasheets, brochures and signage. The AGD brand is now well known within the industry as an innovative brand in its own right and is now successfully winning orders from all around the world. Their brand is known to represent excellence, innovation and quality, which enables the value-added sell into customers, rather than just a commodity purchase. A very satisfied client.